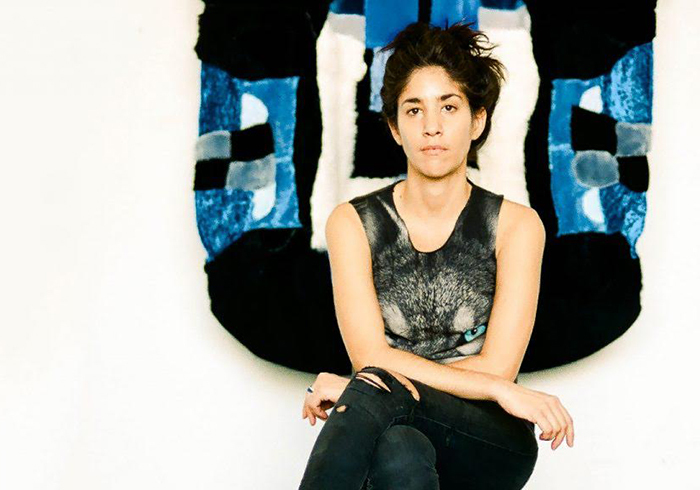 Before you toss that Teddy Ruxpin or Care Bear doll from your halcyon youth to the wayside, a gander at Agustina Woodgate’s rugs will make you say, “Hmmm.” The 37-year-old Miamian-by-way-of-Buenos-Aires creates kaleidoscopic and complex hand-sewn rugs culled from the pelts of hundreds of cast-aside stuffed animals. Woodgate has exhibited her rugs internationally and has received numerous honors and awards such as the Florida Prize in Contemporary Art because… brilliant! She’s also making the Magic City a prettier and happier place. Woodgate was commissioned by the City to design a series of park benches on pedestrian-friendly Lincoln Road. Another favorite past time? “Poetry bombing.” Yes, Woodgate gets her kicks by sneaking into thrift stores and sewing labels replete with verses into the clothing. Currently pursuing a Master in Design at the Sandberg Instituut in Amsterdam, Virgin Hotels explores the colorful mind of the quirky creative. You lived in Argentina until the age of 23 — upon graduating from the Universidad Nacional de Arte. What memories pop into mind when you reflect back on your native soil? I spent a considerable amount of time in parks and I remember these moments very vividly. At the age of 7, I began collecting things, from cans to coins, candy, stickers, erasers, pencils and stones. When I was about 11, I turned my bedroom into a laboratory and pretended to do all sorts of experiments. At the age of 15, I became obsessed with furniture and would flip and move my entire house around with the help of my brother. My mother would return from work and the living room would now be where the dinning room was! When did you experience the aha! moment your career would take on the trajectory as an artist? Never really. I guess it was very intuitive. I just followed the flow and I still wonder if I am an “artist.” Google describes me as an architect. You create hand-sewn rugs from discarded stuffed animals. How did you dream up this process? One day while cleaning my studio in Miami, I realize that my teddy bear, Pepe, that I had since I was one years old had made it to the U.S. with me. I didn’t remember packing him, but there he was, with an eye missing and almost no fur left. This pushed me to consider the strange relationship we have with objects — especially stuffed animal toys. They are transitional objects, they transcend their object hood to become friends and companions. Then on a visit to a thrift store I discovered that there where hundreds of used stuffed animal toys in shelves, a very unpopular item to be purchase used. And then it all began — The ARC (Animal Rug Company) was born. Whimsy and color aside, we love the eco-friendly aspect of your work, too. Why is being kind to the environment important to you? There is no other way to co-exist. How would you best describe your genre of art? I have no idea anymore. These days I call myself a spacial designer, proposing solutions for space. If you could have dinner with any artist — living or dead — who would it be and why? David Bowie, Ana Mendieta and Felix Gonzalez Torres to name a few. Say your wishes and desires out loud. The Universe provides. Which passion falls just below being an artist? How do you find your chill?